"A Day in the Life" with designer Natasha Wittke of Norquay Co.
HomeArtsArtist Profiles“A Day in the Life” with designer Natasha Wittke of Norquay Co.
“A Day in the Life” with designer Natasha Wittke of Norquay Co.
Natasha Wittke is the owner, designer and creative soul of outdoor brand Norquay Co., which she launched in 2013 while living in Montreal. 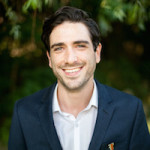 Wittke is originally from Sudbury Ontario; a northern girl to the core. She grew up in a city of lakes, and was fortunate to spend her summers at John Island Camp, where she picked up her canoeing skills. She was part of the first group to head out to the Missinaibi River for 30 days and paddle 600km. This multi-disciplined lifestyle keeps her extremely busy, however she always finds time to travel and explore the outdoors with her husband and sidekick daschund Lou. 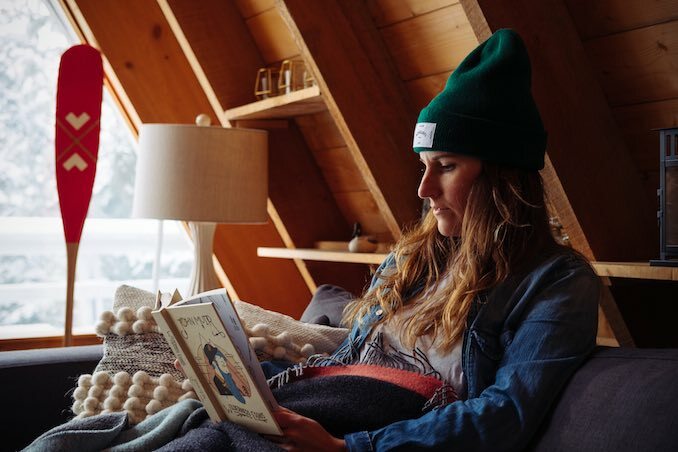 You will typically find her rock climbing in Kentucky, kayaking the great lakes or relaxing on the dock at her recent new project, an A-frame cabin in Haliburton. Nature is where she finds balance and can reconnect with her creative self. Natasha at the cabin, the place she feels most at home. This was taken in -35 weather this past winter, the water-line froze and they resolved that the cabin was not completely winterized. 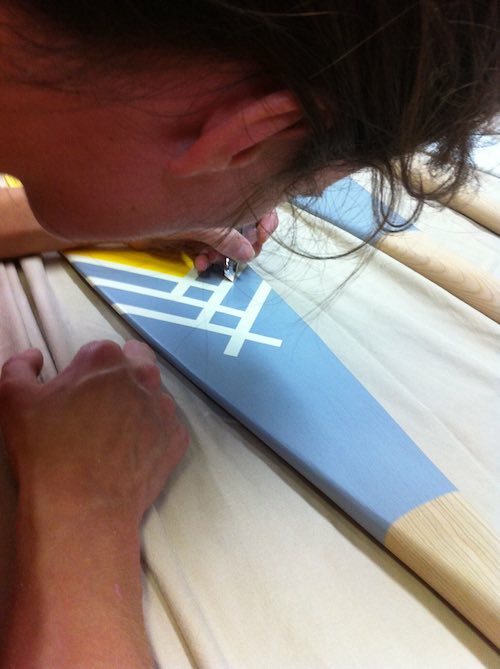 Natasha with one of the very first Norquay Co paddles, creating new techniques to refine her craft and skills. 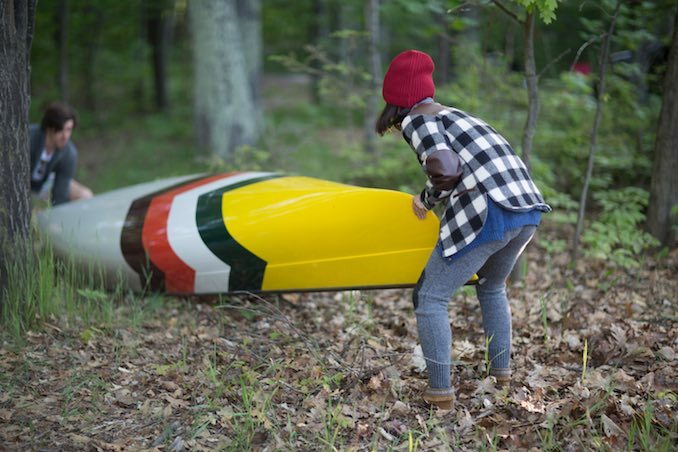 Natasha’s most recent eBay collab paddles. Summer of 2013 in the original Montreal Studio, where the journey began! 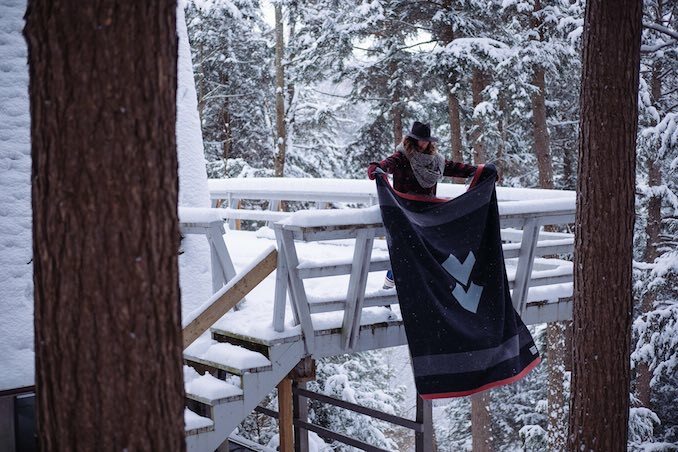 Natasha showing off her merino blankets at the Halliburton A-frame. Natasha hanging out with friends in Georgian Bay for a weekend camping trip. Natasha in her element, surrounded and inspired by Canada’s great outdoors. 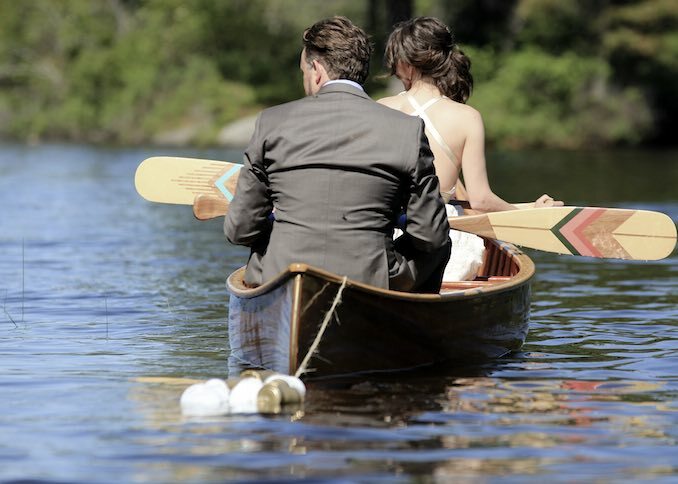 Natasha’s wedding day, paddling away with her very own, cans and all! Wittke now lives in the west end of the city in Etobicoke near her art studio, walking distance to the lake. 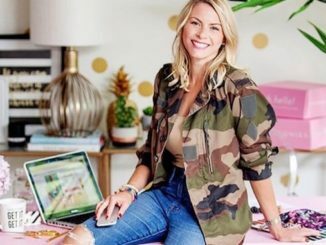 Wittke continues to work in Advertising at Rain43 as an Art Director, while still focusing on developing her Norquay brand. 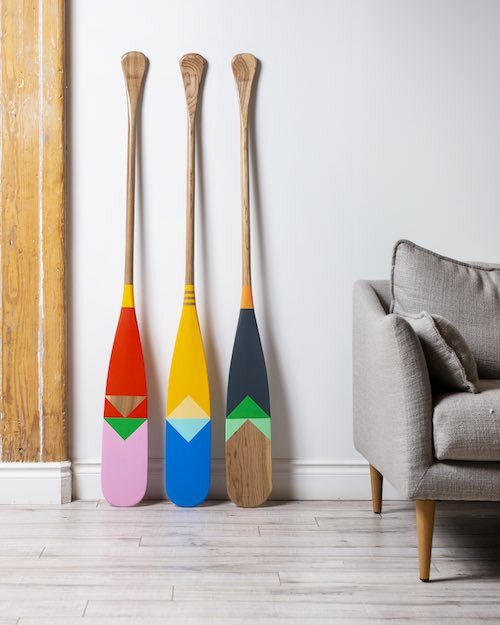 Wittke recently partnered with eBay to create an exclusive line of paddles for the month of July. 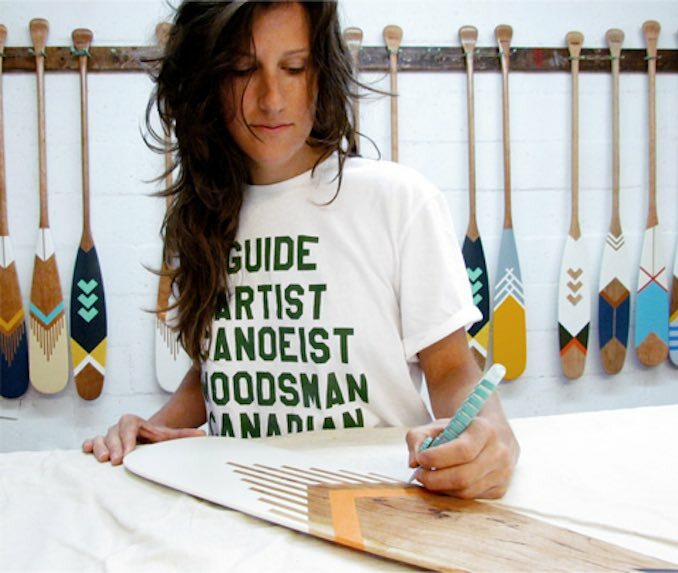 Each paddle is designed to represent the natural colours and landscapes from some of Canada’s most incredible paddle routes. Wittke’s playful approach to colour and thoughtful balance of design is what makes her work not only beautiful, but also translates into functional pieces of art. Her exclusive eBay line until August 31st. More of her work can be found at at norquayco.com. Instagram is @norquayco.